Boy are we excited... and blessed. Recently a friend hosted a dinner and invited Brian Tracy (who was in town) to join him, his leadership team, and myself. During that dinner, Brian freely shared his wisdom with all in attendance. Brian is a very wise and generous man. He also told some stories of his first meeting with my friend and how unique he was even then. That did not surprise me, as he (my friend) has been an amazing leader, friend and cheerleader for me. When my friend told Brian about what we were doing with the Secret Selling Tips for his sales team and the others who have already signed up, Brian did something that humbled me. Brian told me we could draw from any of his material to support and help our subscribers grow in their quest to be or become top performing selling professionals. 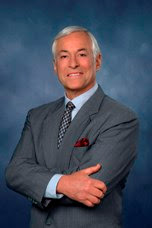 Now each issue also includes focused wisdom from Sales Master, Brian Tracy. As well our Secret Selling Tips, members only vault will have additional materials from Brian just for their use. Thanks Brian, we appreciate your investment in the success of those who read Secret Selling Tips. It is no secret why you have become an industry leader in your field. We launched Secret Selling Tips in March 2007 to 1500 Brick Sales professionals across Canada and added a French version for their Quebec sales team in April 2003. I was invited to attend a Strivers meeting in Chicago in May, 2007 to introduce this exciting new concept to a group of US furniture retailers as the guest of our first Canadian subscriber who felt the value we brought to his team would be of interest to his counterparts. He was so excited about what we were doing he called and said, "Hooey, you have to come to Chicago. You are my best idea this year!" Following that meeting we have had 4 new US based firms subscribe their sales teams... with a couple more in the process of getting ready to sign up their teams. We welcome new companies who are committed to equipping and motivating their sales teams to subscribe. Cost is very reasonable, in most cases for as little as the cost of a cup of coffee per month, and the delivery system is easy too. Just subscribe, give us their names and email addresses and every two weeks they will get their copy of 'your' Secret Selling Tips.